Library: The Henry Alexander Hunt Memorial Library is the main library and information service building on campus. The objective of the library is to enrich the learning capacity of students by providing print and non-print resources to support classroom experiences. In Hunt Library, users will find a combination of study tables, carrels, lounge chairs for research and study, a digital media presentation room, a Hall of Fame conference room, a combination of Mac and PC computer workstations, laptops, iPads, eReaders and an information literacy teaching classroom. Virtual Library: Through collaboration and resource sharing, the library participates in the GALILEO project, a worldwide web-based virtual library that provides access to multiple information resources, including secured access to licensed products. Participation allows access to over 300 databases, indexing thousands of periodicals and scholarly journals. Other resources include encyclopedias, business directories and government publications. In addition to GAILEO, Hunt Library has current subscriptions to 14 online databases such as JSTOR, Jove and IBSIS. More importantly, Hunt Library has membership with LYRASIS and OCLC for resource sharing of interlibrary loan (ILLIAD) and WorldCat. As a member of the University System of Georgia, faculty and students have access to the library collections of all 31 institutions in the state, and also by way of Gil Express, a document delivery service. In support of distance education, library resources are accessible fully online at the Fort Valley State University. Information Literacy: Through its information literacy program, librarians, in collaboration with the instructor, conduct classes in the use of reference resources, databases and how to get started with research. Library Services: Reference, Circulation, Interlibrary Loan, GIL Express and GALILEO, a 24/7 Computer Lab, Course Reserves, Special Collection, University Archives, Scanning and Media Services. Curriculum Materials Center (CMC) is an extension of Hunt Library that provides resources for child development, early childhood education, middle grade education and other educational programs. The center’s collections are comprised of the State of Georgia’s adopted textbooks and other supplementary materials, pre-K through 12 grades, trade books, Caldecott, Newberry and the Coretta Scott King award books. It is located in the Education building under the jurisdiction of the College of Education. 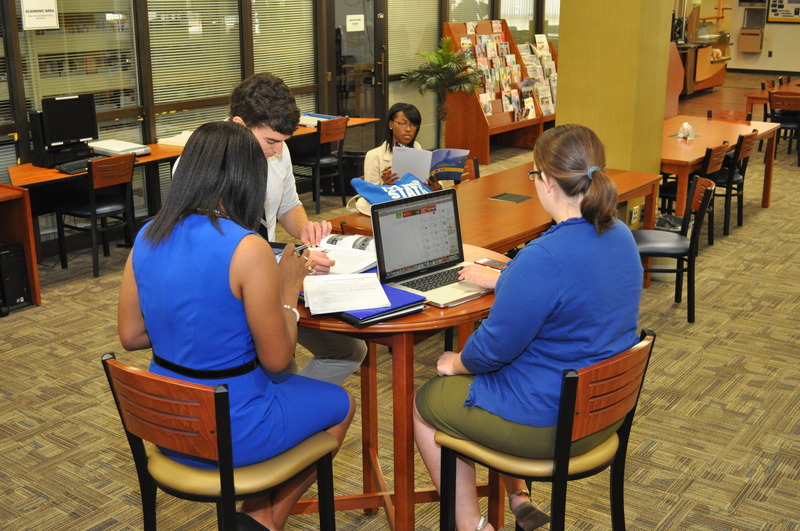 Hunt Library at Warner Robins supports the Graduate Studies program at Fort Valley State University. Collection holdings are representative of resources needed to support disciplinary foundations in the areas of Public Health, Mental and Rehabilitation Counseling.